I have just returned from the World Junior Championships held in Roccaraso, Italy. I represented Ireland at Slalom and GS and I carried the flag in the opening ceremony. The conditions were terrible! The weather was so sunny that it was melting the snow. So much so that the programme was changed from day 1 and the GS was replaced by the Slalom in which I came out in the 2nd run. 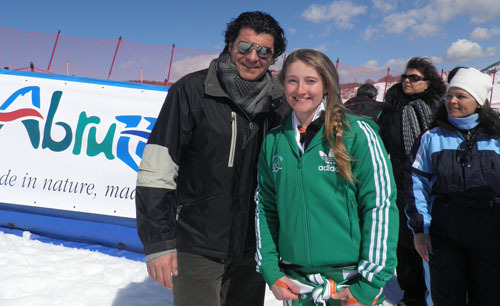 The day wasn't a complete disaster though because I had my photo taken with the Italian Slalom legend, Alberto Tomba! 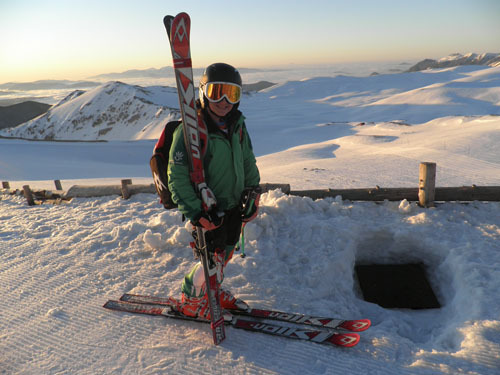 The GS was then run over 2 days (1 run per day) because the course was deteriorating so rapidly. We had to inspect the course at 6.45am in order to start the race by 8am! I was very pleased with my GS performance where I finished 70th (out of 111 starters and 81 finishers). 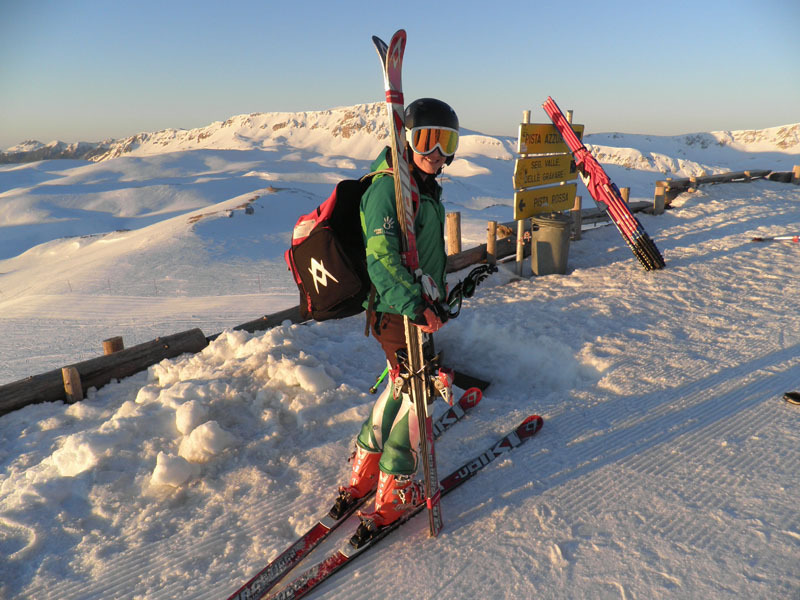 It was a great experience and it is now my goal to ski for Ireland at the World Championships next year. Since the second day of GS was only 1 run, we were able to have the afternoon in Rome before flying back home on Sunday morning. 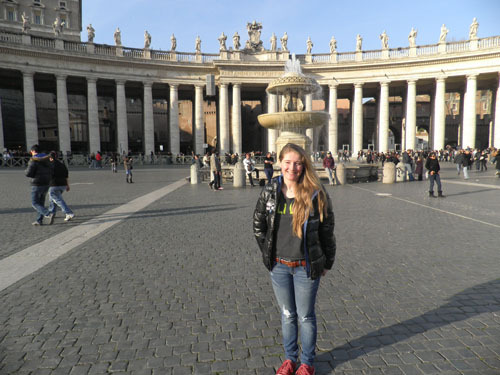 In the afternoon, we managed to see the Spanish steps, visit the Vatican and see the sistine chapel, Raphael's art in the Vatican's museum and look around St Peter's Basilica. On the way to the airport on Sunday morning, we even managed a brief look at the Colloseum!